The Apartheid-era destruction of a neighborhood. 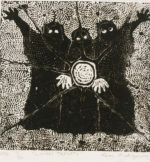 Dan Rakgoathe, Cosmic Trinity (1974), linocut, 36.5 x 36.5 cm. Johannesburg Art Gallery, PELMAMA Permanent Art Collection. Image courtesy of The Haenggi Foundation. 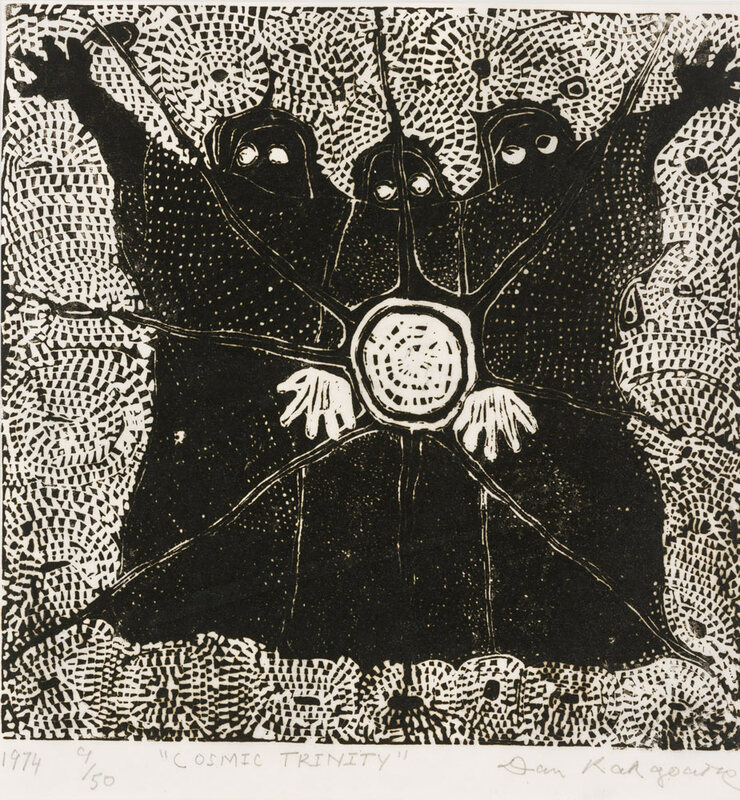 I was struck by the South Africans’ widespread enthusiasm for printmaking. 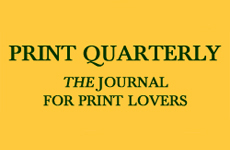 At a reception following a reading by an Italian poet, one woman lit up when I mentioned my interest in learning about prints in her country: “I love prints!” Several artists told me they use printmaking to work out ideas in ways that influence what they produce in other media. 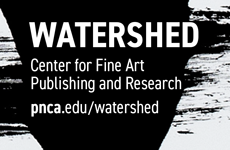 I felt as though my 15-hour plane ride had transported me to an alternate universe, one where printmaking is considered on a par with painting and sculpture.